If like me you’re interested in all things Google then check out this video from the BBC. It features a tour of Google’s new European engineering headquarters in Zurich Switzerland. It looks like a truly inspirational place to work. See the free food, fireman’s pole, slide (to get you to the free food) and aquarium! Google are making in excess of $1 million per hour purely from Adwords revenue, I suppose they have to spend it on something. It’s all about juice. Link juice. If you want your website to rank you need backlinks. Simple. Search Engine Optimization revolves around link building. Use these tools to spy on your competitors backlinks and get a useful insights into their link building activities. Any one up for a little reverse engineering? 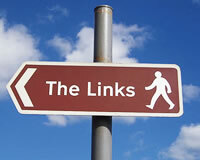 Many backlink tools are now only available to paid subscribers. But there are still a number of free backlink analysis tools available. Although free SEO tools might not be as fully featured as some of the paid for services the free SEO link building tools listed below are a must have for any SEO Ninja looking for link love. Just spotted this. 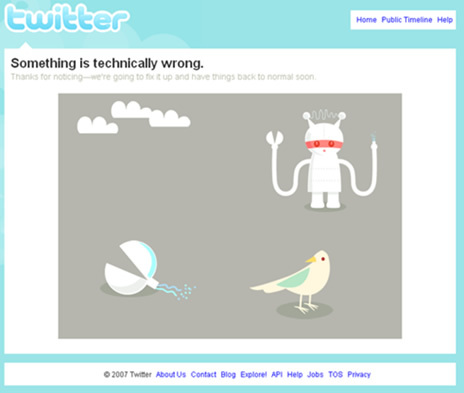 A nice example of a friendly error message. Friendly error messages amke a big difference to the user experience, they’re fun, and they help give the website (brand) a personality.